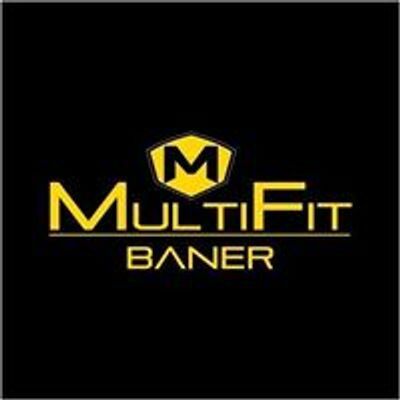 Ever thought of giving back to society? 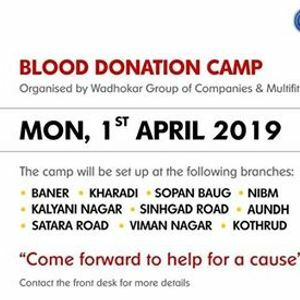 Here’s the chance, Wadhokar group company and MultiFit Baner is organising a Blood Donation Camp on 1st April 2019 at MultiFit Baner. 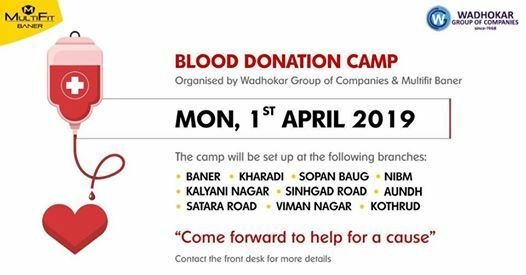 If you are willing to save lives and help the society with us, please participate in the noble cause. Your blood can save someone’s life. It won't take much time of yours but can add years in someone else ’s life.